Victoria, Tx. 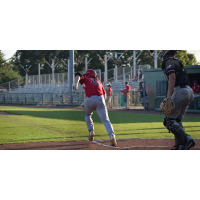 - The Acadiana Cane Cutters fell to the Victoria Generals 12-6 to force game three of the Texas Collegiate League Championship. The Cutters struggled early in the game but battled hard to put runs on the board in the final three innings. Third Baseman Chandler Morris (Texas A&M) hit a home run in the seventh to start the rally. The Cutters scored two more in the eighth when Cole Taylor (Texas A&M) was walked to drive in Cole Secrest (Lamar) and Morris hit a sacrifice fly to bring in Connor Manola (SELA). Secrest drove in Alex Hannie (ULL) with an RBI double off the center field wall in the ninth. Taylor followed with a two-run homer over the left field fence to cut the lead in half. The Cane Cutters will face the Generals in the deciding game tomorrow night (8/11) at Riverside Stadium in Victoria, Texas as they try to claim their first league championship.